Found a new site for me and entered this Christmas card. 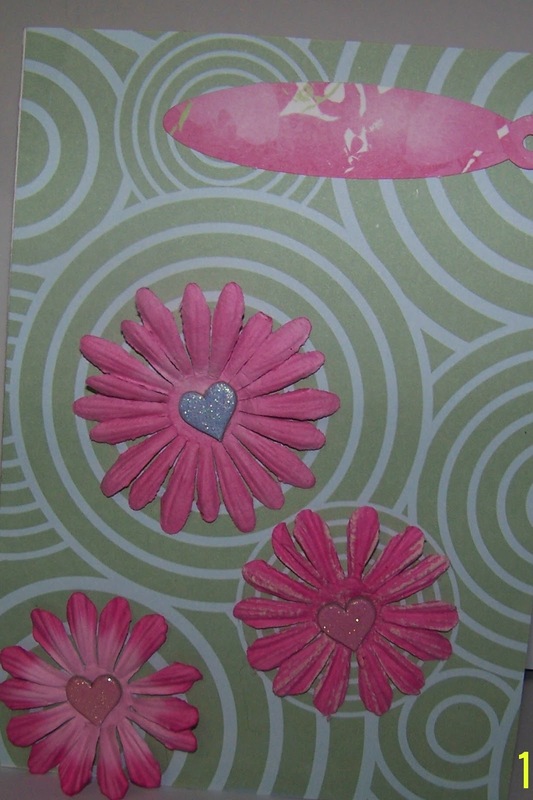 It hard to see the Merry Christmas on the tag but I was using a sticker, paper, flowers, chipboard hearts from my stash. Very pretty Sherry! I love the paper flowers, some of my most favorite embellies!! Thanks for playing in My Christmas Card Stash is Low Challenge! !